Serving in stark contrast to clean, minimalist design, maximalist rooms are meant to be a beautiful chaos. But sometimes they can just turn into dirty and dusty chaos. With so many surfaces to clean and places where messes can hide, there are a few extra steps to take to make sure your maximalist wonderland stays fresh and clean. Display everything out in the open but make sure it has a home. Once the lines start getting blurred about what goes where, it’ll make cleanup time difficult in a maximalist space. 2. Go all or nothing with color. Figure out what works best for your personality and the room you’re decorating. If you’re into bold patterns and bright colors, use them! If the thought of too much color scares you, try to stick to a handful of colors in the same family. Though they’re opposites, both rich colors and soothing neutrals have the capability to unite a room. 3. Make every piece count. This room is definitely maximalist but if you look hard at the details, you’ll notice there are more big items (side tables, for example) than smaller trinkets. While we typically see maximalist rooms filled to the brim with smaller trinkets, you don’t have to spend a ton of time and money looking for a curated collection. Use bigger pieces to your decorating advantage. Just because it’s a rug doesn’t mean it has to go on the floor. Add a furry rug to your desk chair for chic comfort or throw one on the wall as piece of statement art. Or do both and achieve the level of maximalism reached by this playful office. 5. Have an organization scheme. Have your cake and eat it too by displaying all your knickknacks organized in a way that shows off all you’ve got. Items are organized by color in this room but you could also organize items by size, subject, or any way you see fit. 6. Know when to play it cool. 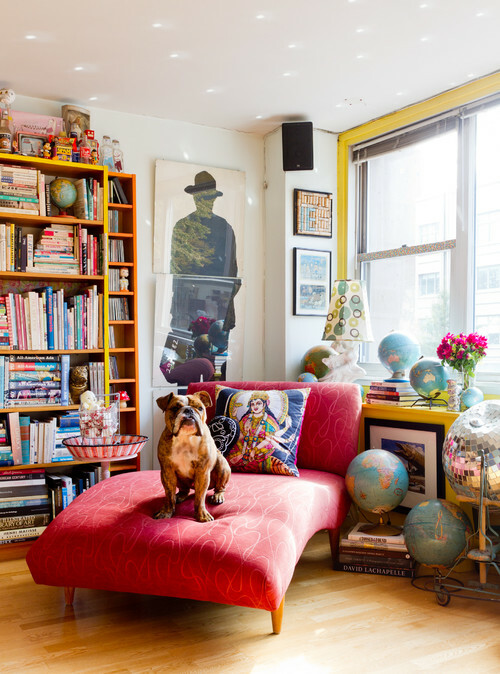 Just because you’re a maximalist doesn’t mean every inch of the room has to be adorned in patterns and color. Take a hint from the office of J.Crew genius Jenna Lyons and keep some things calm. Window treatments are a reliable place to go simple with decorating since you don’t want to play down the natural light or outdoor scenes let in through the windows. Simple white or tan window treatments are a hit in any room. Heed the advice of author William Morris and only keep the things in your space that you believe to be beautiful or useful. Toss anything else out. Even though maximalism is all about the idea that more is more, don’t buy things just because they’re trendy. 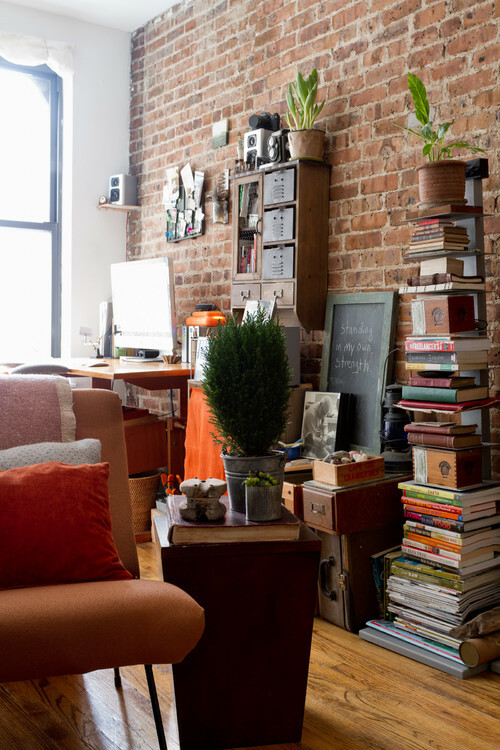 Decorate with the things that matter to keep your maximalist space from becoming a junkyard. 8. Leave room for the everyday messes. If you’re the kind of person who likes to enjoy dinner on the couch in front of Netflix every now and then or lounge on a chair to do some reading every morning with coffee in hand, then make sure your setup at home allows you to do just that. If your sofa is filled with throw pillows or the coffee table is crammed full of knick knacks and books, you won’t have the room sit down without tossing some pillows on the floor or pushing everything on the coffee table over to make room for your coffee mug and hoping it all doesn’t topple over. And we all know it’s no fun to have to pick up a mess after it’s made. 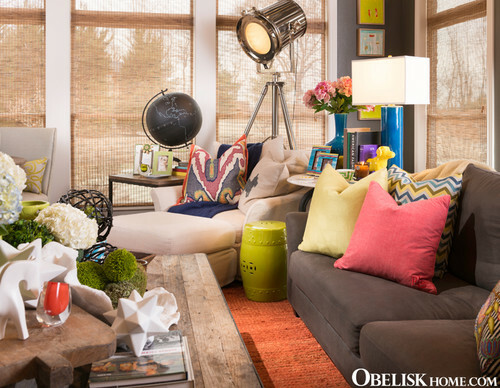 Let your maximalist style shine but make sure your living area is practical for day-to-day life. 9. When in doubt, dust. The thing about maximalist rooms is that there’s a lot of stuff sitting around collecting dust and a lot of surfaces to keep clean. Some strategically placed air-purifying plants will help keep things clean but you’ll also need to establish a cleaning routine to make sure no messes accumulate in your well-styled maximalist space. You don’t need to deep clean every time but a light dusting is necessary often in a busy room with a lot of pieces.